Approach G7 provides you with improved accuracy thanks to the PlaysLike Distance measurement feature that adjusts for uphill and downhill slope. Any golfer will tell you that improving distance measurement accuracy even with a yard will have a significant impact. Another benefit that you can expect from this GPSis the club recommendations provided by the device. This will not only better your play but also save you a lot of time in club selection. 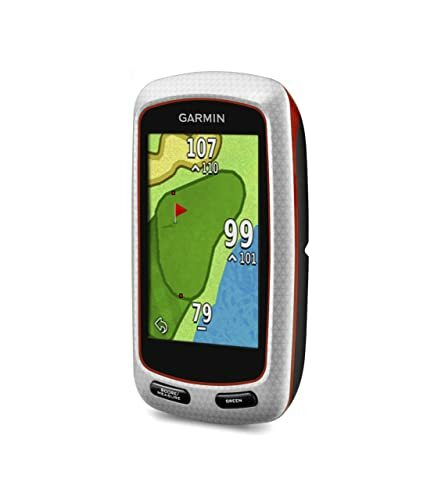 Garmin Approach G7 is a compact and rugged golf device that is set to revolutionalize a golfers experience on the course. It features a rechargeable battery that can last up to 15 hours when fully charged and it is preloaded with over 30,000 international courses. However what makes it one of the best Golf GPS device is the PlaysLike Distance measurement technology that gives you a more accurate distance that has been adjusted for uphill and downhill slope. The Smart Notification is another new feature that has been added to ensure that as you enjoy golfing, you can still keep up with the world. Although I liked most of the features in this device what impressed me most is the sunlight-readable and glove sensitive 2.6-inch touchscreen. Most players have trouble seeing data on their GPS when playing under sunlight but this GPS takes care of this problem. Shot Tracking: The stats tracked by this device include Average Distance, Putts per Round and Greens and Fairway Hit. Preloaded Courses: It comes with 30,000 preloaded courses from across the world. There are no fees for these courses and players also get a lifetime course updates. Smart Notifications: This feature lets you get email and text notification when playing and hence making sure that you do not miss anything important even as you enjoy the game. PlaysLike Distance: PlaysLike Distance gives a golfer a more accurate and reliable distance to the target as it is adjusted for downhill or uphill slope. 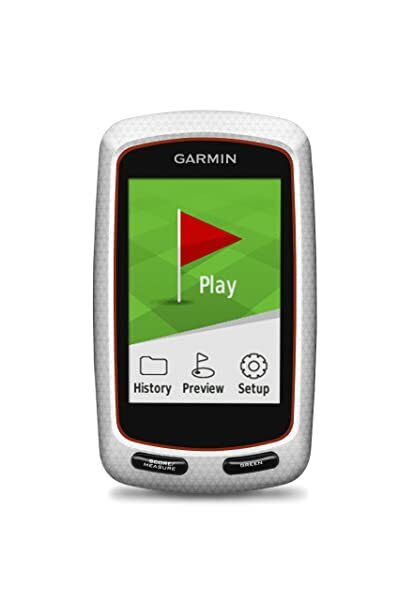 Garmin Connect Online: With this device you can be able to connect with a community of other players to compare your statistics and share other valuable information. Club Advice: It remembers the distance you hit with each club, and so it will give you recommendations on the club to use. Big Numbers Mode: With this device you never have to strain your eyes to read what is on the screen since it has a mode that displays everything in larger fonts. Scorecard: Can track strokes for a maximum of four players. This is made possible by the scoring options that include Stableford, Stroke Play and Skins. It weighs 3.37 oz and measures 3.7 x 2.1 x 8 inches. Approach G7 provides you with improved accuracy thanks to the PlaysLike Distance measurement feature that adjusts for uphill and downhill slope. Any golfer will tell you that improving distance measurement accuracy even with a yard will have a significant impact. Another benefit that you can expect from this GPS is the club recommendations provided by the device. This will not only better your play but also save you a lot of time in club selection. The many features in the GPS make it very convenient to use, and it will be very helpful when playing. It has a long battery life, and so you will never have to worry about running out of power when playing. Players without prior experience using GPS devices may find it a little bit hard to use. It does not have Wi-Fi, and its screen is relatively smaller when compared to other devices. Garmin G7 come from a line of very successful devices, and the manufacturer has established a reputation for producing reliable golf equipment. The Approach G7 will not disappoint you, and it will probably even go beyond your expectations as it is packed with many useful features. Although there are many other devices with better features and better performance the G7 is still worth trying out especially given its price range.